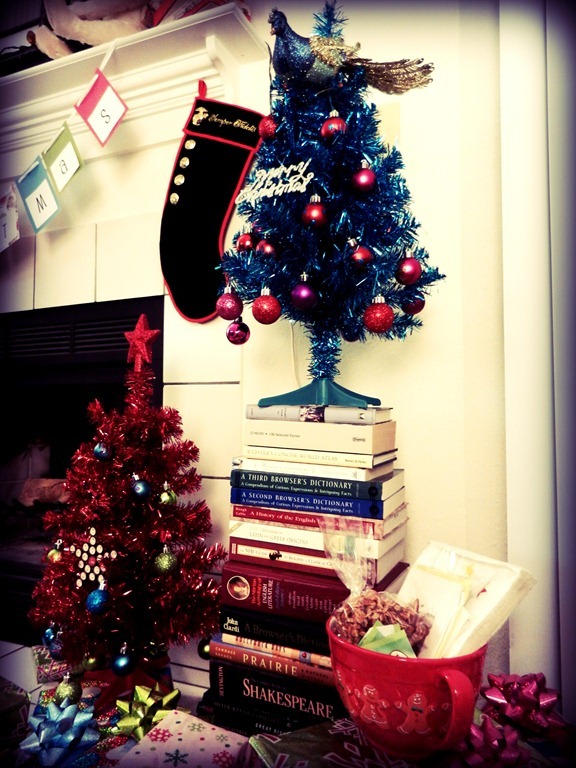 I am not one for nuts. I don’t like walnuts. I don’t like pecans. Pine nuts. Chestnuts. Macademia nuts. Let’s save ourselves the time and sum it up this way: I don’t like things that taste and smell like tree bark. Not that I’ve tasted tree bark. I’ve just noticed . . . similarities. 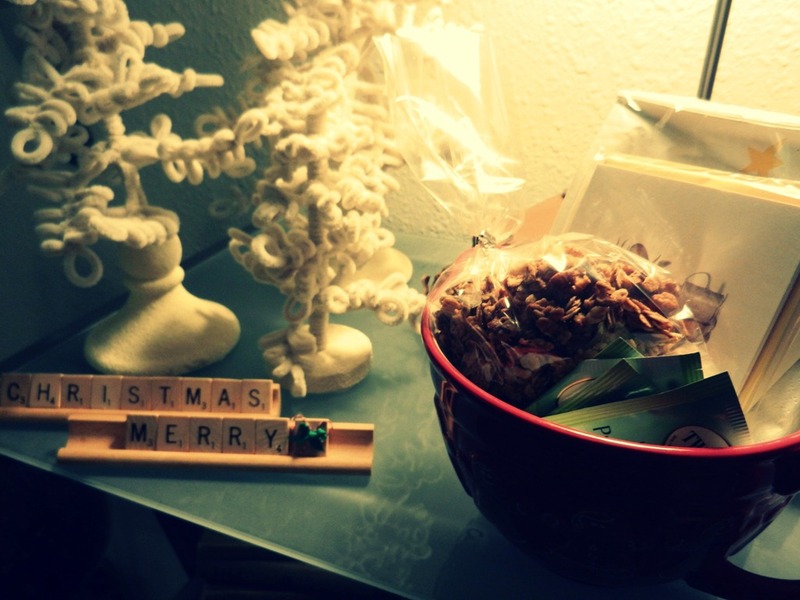 But in the spirit of goodwill toward men, Advent, rose-colored penitence, and the prospect of delicious homemade granola, I’m willing to set aside my extreme distaste for all things bark-like. 1. Preheat the oven to 250°. 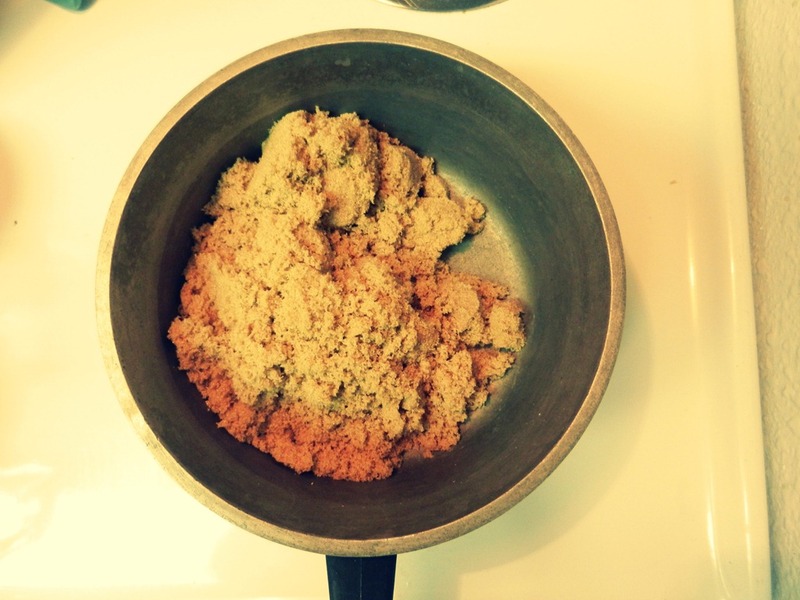 In a small saucepan, combine the brown sugar with the water and cook over medium-high heat, stirring constantly, until the sugar is completely dissolved and the mixture comes to a boil. 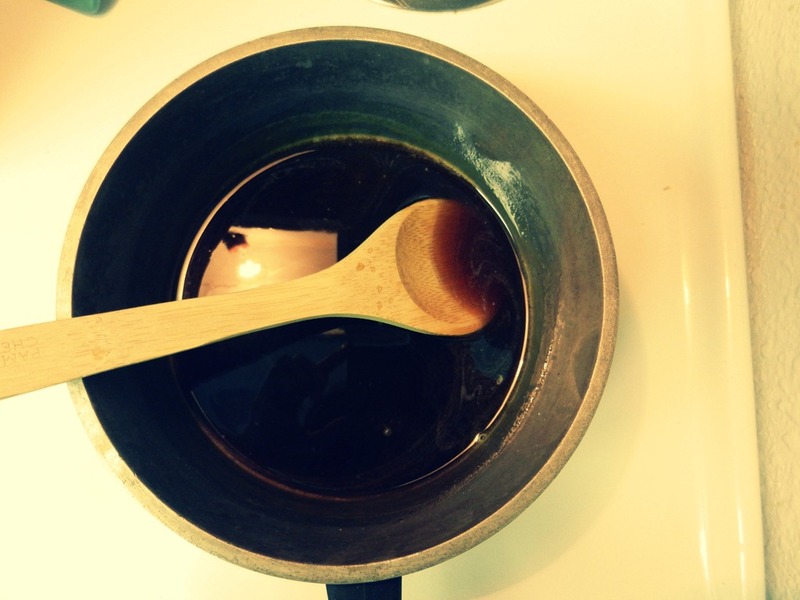 Remove the saucepan from the heat and let the syrup cool slightly. Call your mom. Chat a while. Feel better about life in general. 2. In a large bowl, toss the oats with the bark. And by “bark” I mean, the pecans, walnuts, cinnamon, nutmeg and salt. 3. 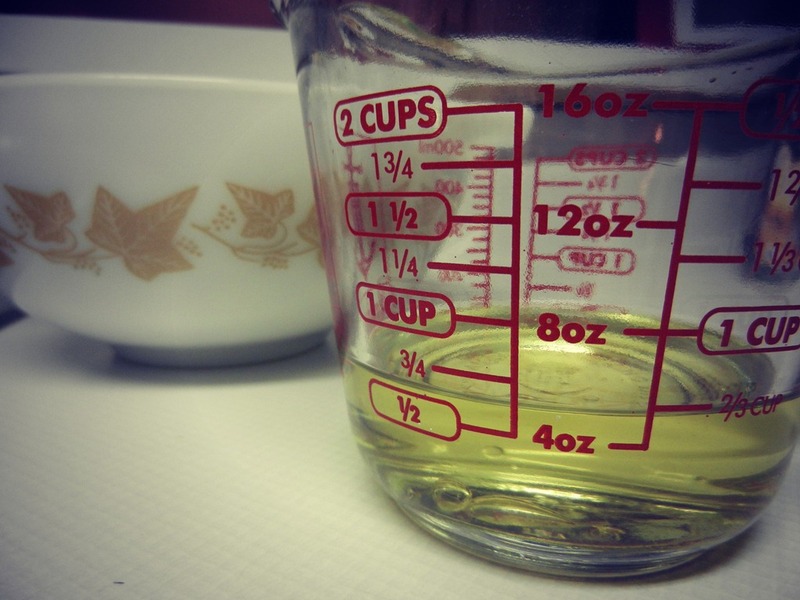 Add the canola oil and vanilla to the brown sugar syrup and stir until thoroughly combined. Pour the syrup over the oat mixture and mix well with a rubber spatula or your hands until thoroughly combined. Sidenote: I also have a real problem with the word oats. I grew up on a farm. People do not eat oats. We are not horses. That’s just . . . wrong. 4. Coat a rimmed 13-by-18-inch baking sheet with nonstick cooking spray. Transfer the oat mixture to the baking sheet and pat it down in an even layer; it will be thick but shouldn’t rise above the rim of the baking sheet. Why, I have no idea. I didn’t write the recipe. 5. 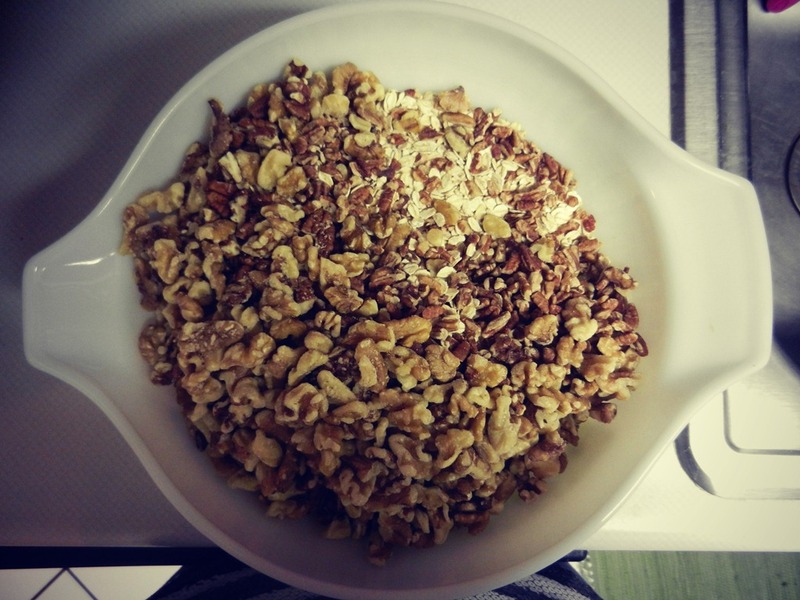 Bake the granola for 75 minutes. 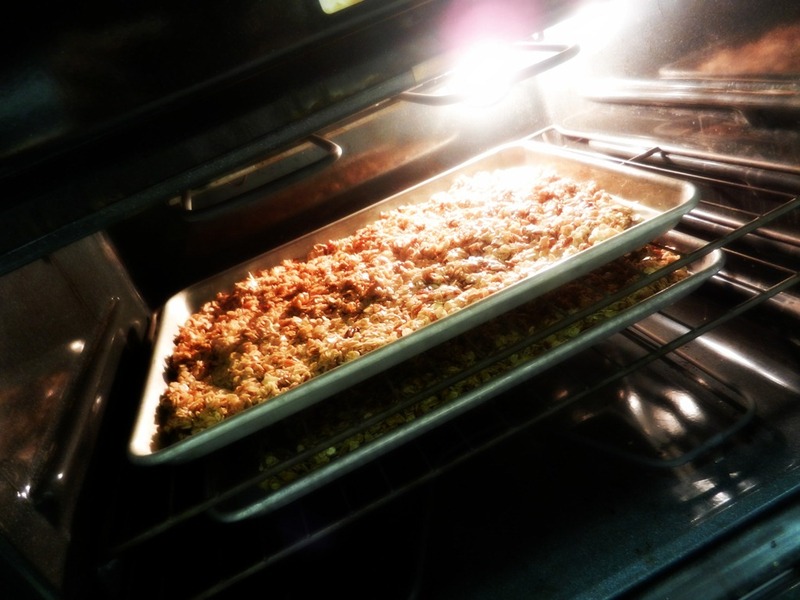 Remove from the oven and use a large spatula to flip the granola, keeping it in large chunks. 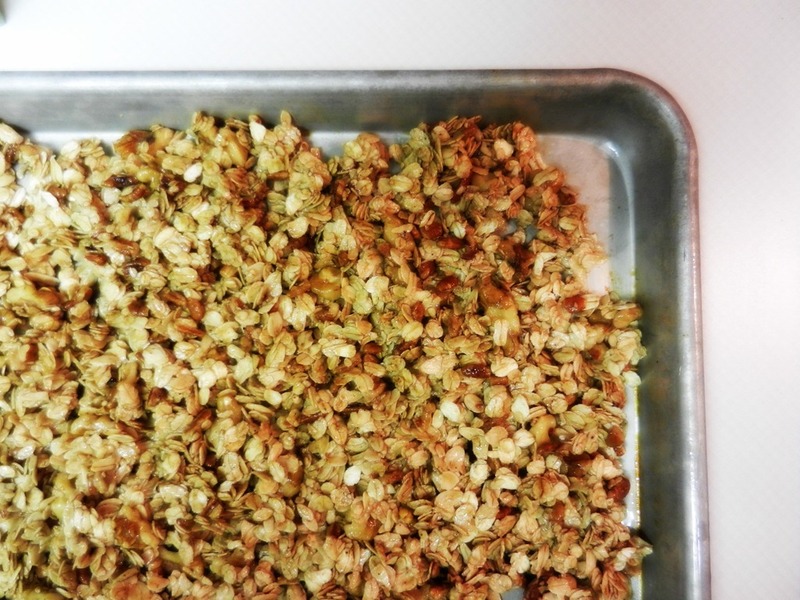 Return the granola to the oven and bake for about 30 minutes longer or until completely dry and crunchy. Remove from the oven and let cool before breaking into clusters and serving. Or hoarding it all and eating it yourself. Or you could be generous and give it to your friends. But I really don’t recommend it. May I suggest substituting coconut oil for canola oil? You won’t be disappointed. I enjoyed a bowl of my wife’s granola this morning for breakfast.